Open ও Friendly working environment. 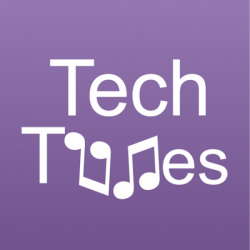 Techtunes - http://www.techtunes.co is the World's Largest & Most Popular Bangla Science & Technology Social Network with over 40 Millions People Connected Worldwide. Techtunes client base are the top IT companies in Bangladesh and worldwide. Techtunes communities are in 130 countries all around the world. Techtunes is the most visited website in Bangladesh. Not only in Bangladesh Techtunes is the Asia's Largest Science and Technology Social Network. Techtunes has its customer base around the world Including USA, UK, India, China, Malaysia, Singapore and many others. উদ্যোগটি সত্যিই প্রশংসনীয়। আশা করি, যোগ্য টিউনার নিয়োগের মাধ্যমে অতীতের মতই টিটিতে তুখোড় সব টিউন গুলো পাব! শুভ কামনা টিটকে!! Thanks Techtunes for giving us this chance…Go Ahead….